how to get unlimited ammo in zombies? How do I get unlimited Ammo in the Zombies game. Is any codes to give max ammo in zombies?? How do you get unlimited ammo on der reise? I really want to know..
1.Start a game of zombies. 2.Go to the map "five", but if you do not have the map go to the computer and type in "3arc unlock", or just beat the campaign. 3.Once you have started the game, melee(knife)the glass out, rebuild the barrier all except for the last piece of wood. 4.When you have done the following steps, jump on the wood, and you will be on a ledge. You can choose to walk on the ledge, or get on the table. How do I get unlimited ammo in black ops 1? For unlimited ammo this is for ps3 and zombies only hold Square and R1 after that tap triangle. How fast do you press it? All you have to do when playing Call of Duty:Black Ops and wanted unlimited ammo and health.This the steps? 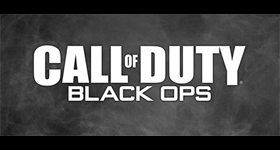 1.Go to zombies multiplayer or online with other players. 2.Go to map Kino Der Toten. 3.Once you have started the game.In the first round you first kill yourself with a grenade and then let someone revive you. 5.Third step is to kill 5 or more wolves in round 5or6. 6.Fourth step is to find two meteor rocks in round 7 or any rounds. 7.When you have done following all the steps you'll get infinite ammo and health once you have 80 or more kills. The zombies should give max ammo. He was a mod. Downloaded from underground site to flashdrive then loaded into ps3. Which door do you knife the bottom of the glass out of and how are you supposed to be able to get from the door to the table? Can someone give a little more detail please? I was playing and my brother and he said that I couldn't do it so he paused it so I looked up cheats and this was no help! Actualy to get out of the map nacht der untoten just lay down in corner of the barrier beside the stairs in the beggining and let a zombie hit once and your out of the map nacht der untoten this may requir a few attemps but it will work I promise you can only do this SOLO. Do you know how to get in the bracket I do in kinder toten go down and in the room before the theater the bracket closest to the box get on to it then pause wait for z whenever he trays to take board he launch you in there. Im trying to play against computers on multiplayer of.. Does anyone know how to send game invites to your fri..
unlock all guns online how to unlock all guns online ..
Unlock 'Sympathy for the Devil' on N..